Citation: C N Trueman "The Battle of the River Plate"
The Battle of the River Plate took place on December 13th 1939. The battle in the South Atlantic was the first major naval battle of World War Two. Ships from the Royal Navy’s South American Division took on the might of Germany’s Graf Spee which was successfully attacking merchant shipping in the South Atlantic. 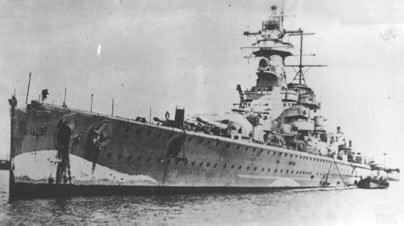 Great Britain’s South American Naval Division was made up of four cruisers. On Saturday, December 2nd,1939, HMS Ajax, commanded by Captain Woodhouse, was harboured at Port Stanley in the Falkland Islands. Also at Port Stanley was HMS Exeter, commanded by Captain Bell. 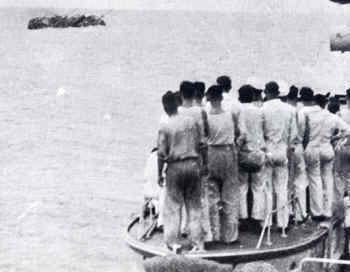 Two other ships made up the South American Division – HMS Cumberland, commanded by Captain Fallowfield, and HMNZS Achilles, commanded by Captain Parry. The commander of the South American Division was Commodore Harwood. The 25th anniversary of the German defeat at the Battle of the Falkland Islands would be an appropriate date for the Graf Spee to seek revenge by attacking the British South American Division.